Cooking in your Flagstaff apartments is much more enjoyable when you work from an organized pantry. While there’s not necessarily a science to pantry organization, there is definitely an art to it. Here are five tips for organizing your pantry in your apartments in Flagstaff. Clear storage containers allow you to see inside everything without having to open them. This is a huge time-saver that adds up over time. It will also help keep you from feeling frustrated by not being able to quickly locate ingredients. It doesn’t matter which brand you choose for clear containers as much as sticking to the same brand. The reason is that you’ll be able to have the same dimensions for your storage containers; all the small sizes will be the same, all the medium sizes will be uniform, etc. This helps a lot when you go to the next step, which is fitting items inside the pantry. Now it’s time to fit everything into your pantry. Large storage containers go farthest back, medium sizes go in next, and smallest sizes go in front. If you like, you can also put each size on separate shelves. Many dried foods are sold in plastic bags. These shouldn’t be stored in your pantry like this, though, because it’s hard or impossible to see what’s in the bags without lifting and inspecting each one. Instead, put dried foods like rice, lentils, beans, and pasta into your clear storage containers, labeling each one accordingly. Removable hard or soft over-the-door storage units are very useful for your pantry. Here, you can store smaller items like food coloring, spices, and smaller canned foods. 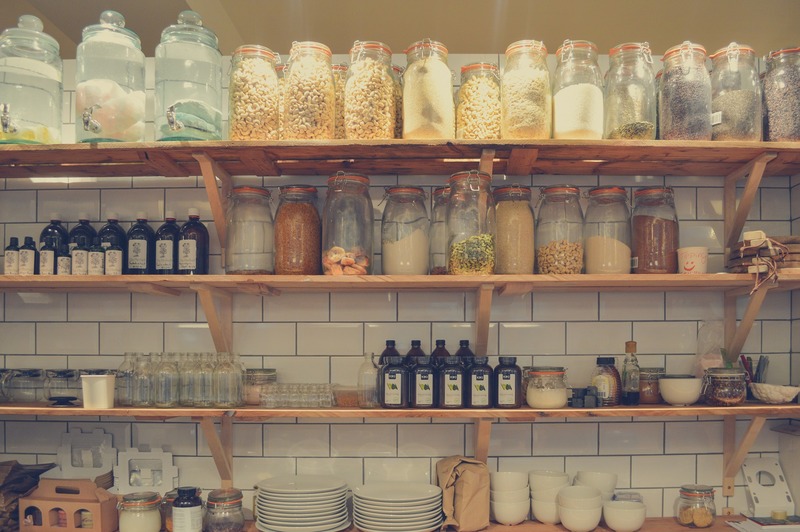 Even if you don’t cook every single day, you’ll really love experimenting with different ways to keep your pantry organized in your Flagstaff apartments. To see the kitchens and floor plans that are available, please contact us today!